It’s Friday, it’s 5.54am and it’s the Interlull. Not a good combination for anything, unless you’re into being up really early during a particularly tedious time of the season. Those of you seeking excitement will have to look elsewhere this morning because we haven’t even loaned out a youth team player that most people haven’t heard of or anything. 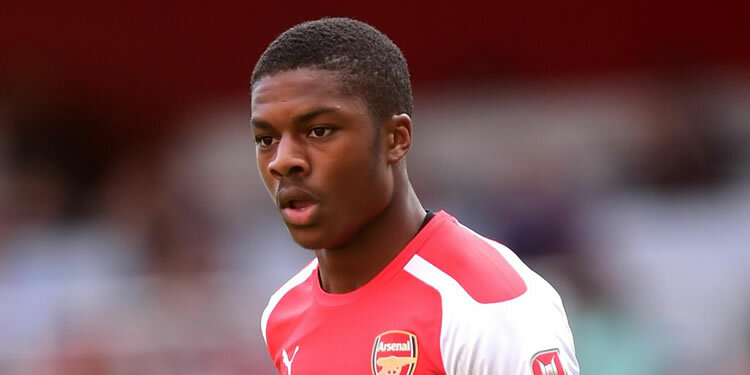 We have, however, sent Chuba Akpom on loan until the end of the season to Nottingham Forest. It’s an interesting move for both parties. Akpom, while too good for youth/reserve team football isn’t yet ready for the Arsenal first team, so needs to play at a more competitive level. Forest sit 10 points off the play-off places in the Championship and need goals to help bridge that gap. There are still plenty of games for him to make an impact in too. He’s very highly rated at Arsenal but then that’s true of so many youngsters that have reached this point of their career, and then found the step-up a challenge they haven’t quite been able to manage. Still, with a new three and half year contract here under his belt, he should arrive at the City Ground with the pressure off confident he can give Arsene Wenger something to think about it. Hopefully he’ll do just that with goals, because that’s what will make the manager sit up and notice. Meanwhile, Theo Walcott spoke about his contract situation yesterday. After denying rumours of a training ground bust-up with Arsene Wenger (a denial that simply made more people than ever heard the story in the first place ask ‘There was a bust-up?! ), he talked about the recent report which said that talks between the club and his camp were ‘on hold’. There have been no contract talks as yet and my current focus is not on contracts but on doing my best for Arsenal FC. You might remember last week, when we last spoke about this, I mentioned this kind of response where a player says they only want to concentrate on their football etc etc. It’s a massive red herring because players have little or nothing to do with the contract renewal process until it comes time to sign on the dotted line. By any standards it’s a fairly transparent, and ultimately unnecessary, public declaration from Theo. What he says is pretty much at odds with what Arsene Wenger has said about the club’s attempts to negotiate (going back as far as last November). And it’s not as if having contract talks at this point, when a player is heading into the final year of his deal, is uncommon or strange. It’s perfectly normal, but obviously Walcott and his people feel they’re best served by hanging on until summer. Which, by the way, they’re perfectly entitled to do. Their job is to get the possible deal for their client. They’re not interested in the slightest about what’s best for Arsenal, and why should they be? You might like to think a player who has been here since 16 might be more inclined to have those kind of thoughts, but expecting footballers to feel things the way we might as fans is a surefire way of setting yourself up for disappointment. It means that the club is going to have to manage this situation in the summer. It’s sign or sell, in my opinion, and I have no doubt that there’s an impasse between the two sides at the moment. Arsenal might look at this as the optimal time to cash in on a player who averages just over 8 goals a season in his time at the club and, perhaps, use the money towards an upgrade. Sometimes, through no fault of your own, you can be injured. But then suddenly your position, which had looked very secure, suddenly six months down the line is not so secure. That’s something all footballers learn to live with. But he’s got to satisfy a few of his critics and, if you like, make certain a) he stays fit and b) gets his place back as one of the first names on the Arsenal team sheet. When he does that, he might be pushing for a first name on the England team sheet. And that is absolutely the case with him. To my mind the big question is whether or not Theo Walcott is somebody who will see his first job as to fight his way back into this Arsenal side. Or, does the contract situation provide leverage for him to secure a new deal with us, and if that’s not to his liking then he knows Arsenal will be forced to sell him rather than let him leave on a free? He says he’s focused on doing his best for Arsenal, I guess the proof of that will be in his performances. When he’s picked. Right, that’s about that. No Arsecast this week because of the Interlull, so have yourselves a good Friday, more from me tomorrow.